Did you catch the recent Richmond Strikers’ e-bulletin? You may have noticed that Morton was the featured partner! 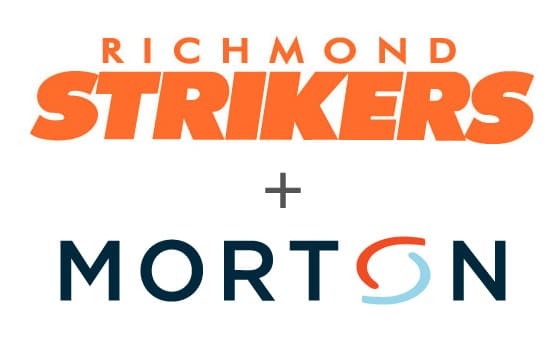 Here at Morton, we take pride in our commitment to community involvement, and we were pleased to share our story with the Richmond Strikers. If you missed the e-bulletin, here are some of the highlights from the article about what makes Morton special. Growing up, our company’s president, Mark Morton, would spend countless hours at his grandfather’s local hardware store. He saw how his grandfather retained business by adding a personal touch. His grandfather took the time to listen to each customer’s unique needs; he didn’t try to put them into a predefined, one-size-fits-all box. Everything we know, we learned at the hardware store. With that foundation of relationship-building in mind, Mark set out to create a company that treated people like people, not like numbers on a bottom line, and founded on the principle of putting people first. Because no matter what business you’re in, treating people right is always the right thing to do. So, what does Morton do? In 2006, Mark founded an IT staffing firm that embraced a people-first culture. A firm where both clients and job seekers could find the exact right fit for their needs; all while adhering to the principles of commitment, honesty, professionalism, and respect. That’s exactly what Morton has been delivering to our business partners for over a decade. What can Morton do for me? Whether you’re looking for the right IT person to fit a current job opening, or you’re an IT professional looking for the right position, Morton can help! Contact us today: info@themortonway.com or 804-290-4272. Any other interesting information about Morton? With our headquarters located in RVA, we feel strongly about community engagement. 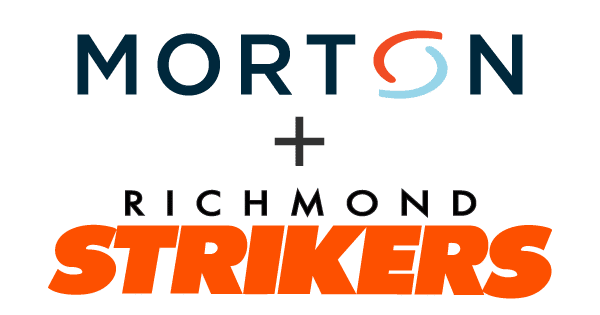 In addition to our commitment to the Richmond Strikers, we are also proud to support the Richmond Flying Squirrels, RVATECH, the Cameron K. Gallagher Foundation, FeedMore, and VCU Athletics, among others. You’ll see our team out and about at technology meet-ups, RVATECH happy hours, Authentic Interviews with Christopher Jones, and executive group events, such as the Virginia Council of CEOS. On the weekends, you’ll definitely spot a few team members cheering along the sidelines at Strikers games! Fun fact: if you stop by the Morton office, chances are you’ll be greeted at the door by a pup or two, as we’re a dog-friendly office.